Delta’s two highest Medallion Tiers – Platinum and Diamond – get a special bonus at the beginning of every new qualifying year: Choice Benefits. It’s like a bonus birthday present for frequent travelers – and man, do I wrestle every year with the selection. The only thing harder than actually getting the benefits, is deciding which ones to choose! If you achieve status in 2018, your choices only have to be made by 2019. Last year was pretty crazy, so I only selected my 2017 perks last November. But here we are again – the perks expired, and it’s time for me to select the good stuff for this upcoming year! Happy (belated) birthday to me, and a special shout out to the Platinum Delta SkyMiles® Credit Card from American Express for helping me get here for the 14th straight year. With 35,000 bonus miles and 5,000 MQM after spending just $1,000 in the first 3 months, this card is a no-brainer for anyone who flies Delta more than once a year. If you don’t just fly Delta, but want the option to redeem points for Delta flights, you can’t go wrong with The Platinum Card® from American Express. This is one of our favorite premium travel cards on the market. Get 60,000 Membership Rewards® points after you use your new Card to make $5,000 in purchases in your first 3 months. That’s $1,200 worth of travel rewards! Upgrade certificates: because of my Platinum status, the choice benefit for this is 4 Regional Upgrades. These are eligible on multiple legs of one-way segments, and on standard paid fares, pay with miles tickets, and Companion Certificate redemptions (basically, not miles award travel or Basic Economy fares). In typical consulting fashion, I weighed the value of my choices – and ranked them. In this case, I started like I do on limited menus at nice restaurants – by first eliminating what I won’t choose, and then selecting between the remaining choices based on their value to me. I remember the first time I went into Tiffany’s on 5th Avenue – long before Trump was president, when it was still pretty easy to get inside (it sits right next to Trump Tower in NYC). I was looking for something I could buy for myself to get the little blue box – a thrill for a college student fresh off of working three jobs and a summer internship. And there I was, looking around, and I realized – there are three things in this store I can buy for less than $100 – a small teacup saucer (not including the saucer), a pen (a nice one, but still), and an engraved charm for a charm bracelet. So $200 at Tiffany & Co isn’t gong to get me much, and I’m not dropping another $8K on something I really want, so that’s easy: pass. This one was pretty easy to cross off the list because I jumped on that bandwagon two years ago. Not only that – I went the Nexus route. Nexus is half the price of Global Entry (although it includes both Global Entry and TSA Pre-Check), and its only disadvantage is that you have to go through an interview at an enrollment center on the U.S./Canada border. But…because of my extensive travel schedule and the work we do in cities like Buffalo, that was easy to accomplish. Originally, I thought this could be cool – until I realized that Silver Medallion Status is effectively meaningless. You don’t get same-day confirmed or same-day standby fee waivers – those only come with Gold status. 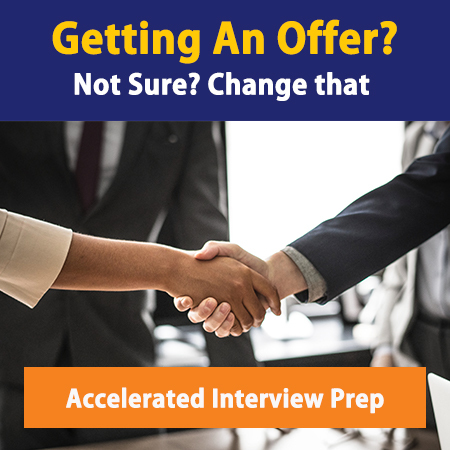 You don’t get an accelerated path to Gold status – you still have to earn 50K MQMs to do that. And you get upgrades at the end of the list – so unless you regularly fly on empty planes (um, let us in on your secret please) the upgrade potential will never be realized. Finally – and most important – I can have one friend travel on my status. So because I travel either with staff members (one at a time), with my partner, who is also a Platinum member (so my status doesn’t mean much), or with my partner and my 2 kids (we split them up and share status with one each), I cover everyone who travels with me via my personal perks. In 2017, I selected four upgrade certificates as one of my Choice Benefits options. I wasn’t sure how they’d work, and initially I realized I hadn’t read the fine print – they don’t work on international flights (boo), and they didn’t (until April 2018) work on many major trans-continental flights (like the one I most often take from NYC to SFO). So I thought I’d chosen useless certificates. But here I am, one day prior to their expiration, and have happily used all four. I used them to get two upgrades when I had a connection, and I chose to use all of them on trips where meals were served in first (i.e. flight time was longer than ~3 hours). For all four, even with my Platinum status, I still cleared the upgrade list toward the end, so the certificates definitely gave me a needed boost. Fresh off of a good amount of travel, I really did appreciate having more than average upgrade options. One of my favorite things about Delta Platinum status is that I can book flights with miles and cancel them up to 72 hours beforehand. I do this All. The. Time. I hold flights with miles until I’m confident I’m going to travel, and 90%+ of the time I cancel the miles tickets, re-bank the miles, and purchase tickets to get miles. I also use miles for my kids to travel with us – now that I have a 2-year-old and a 6-year-old, I have to pay for seats for both – but as mentioned previously, we really don’t need them to have status on their own. And finally – we give away a lot of tickets on miles, or use them for family members to come hang out with our kids while we go away for adult fun (this year, my husband and I visited Iceland, Paris, and attended a wedding in Pennsylvania while family members hung out with our kids!). So having extra miles are always worth something to us! 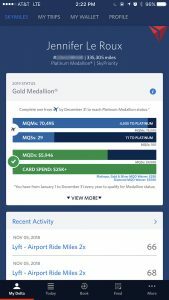 By the way, the best way I’ve found to turbocharge my miles balance is by putting personal expenses on the Platinum Delta SkyMiles® Credit Card from American Express. Double the points for all Delta purchases, 1 point for every $1 spent elsewhere, and extra Delta perks! In my first year of eligibility for Choice Benefits, this was the easiest and quickest choice. A $200 Delta voucher takes me just a few weeks to use – I know I’ll use it, and I love using it AND getting miles for it (unlike when I travel on miles) – plus, you have better upgrade availability on that flight than when you travel on miles. The only issue for me with vouchers has been that I forget to use them! Right now, I have two in my account and I literally forget every time I book tickets (2-3 times/week) that I have them there. And then…they expire. Cue the tears. As a Platinum Medallion, I get one Choice Benefit per year – and I have three finalists. This, ladies and gentlemen, is the definition of a first world problem (ooh, how can I get more upgrades or travel more or have more flexibility in my travel plans? I just don’t know!). The four Upgrade Certificates. I really enjoyed using them this year, feel like I understand the game now, and want to travel in lots of style next year. While the $200 Delta Voucher would have been nice, the Upgrade Certificates give me way more than $200 in pleasure, especially on long coast-to-coast flights. After looking at my miles balance, it was an easy call to forgo the bonus miles. I have 335,305 miles. That should do it for holding just about any ticket I’d like – and will give me plenty to give away so I can go on more fun adventures next year! Now…off to plan my next adventure so I can still make Platinum for 2019. Thanks for joining – and in the meantime, we’d love to hear about what you’ll do with your premium perks choices this year! Need to turbocharge your way to premium Delta Status? The Platinum Delta SkyMiles® Credit Card from American Express gives you 35,000 bonus miles and 5,000 MQM after spending just $1,000 in the first 3 months. Want points that are redeemable on Delta and other airlines? The Platinum Card® from American Express offers 60,000 Membership Rewards® points after you use your new Card to make $5,000 in purchases in your first 3 months. These points can be transferred for free flights to Delta and multiple other airline and hotel partners!